I ordered the radio on 28 May. When I placed the order the Elecraft site indicated that the KX2 was backordered and that it would ship 10-15 days after the order. I don’t mind waiting a year or two to get a QSL card, but 10-15 days for a radio? OK, I’ll wait. : ) After a year in the market it appears that they still have a queue of people waiting to buy one. 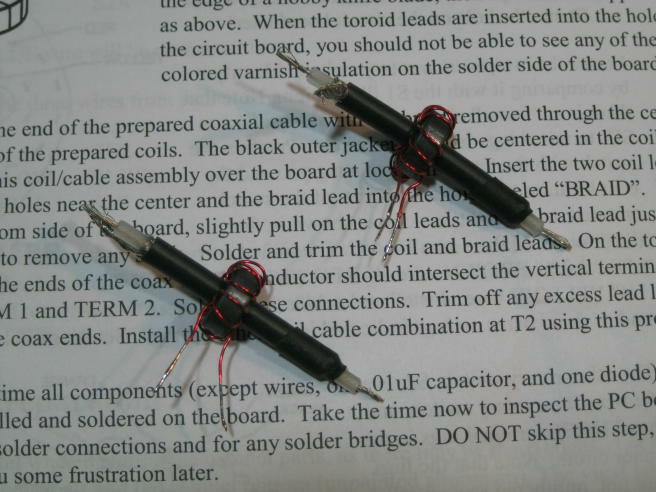 This is a great problem to have if your Elecraft. I figured that worst case it would make it just in time for Field Day. Elecraft shipped it on 2 June. That’s five days after the order with one of those days being a holiday, Memorial Day in the US. (For some odd reason it took UPS six days to get it to Wisconsin.) Turns out Elecraft not only produces great radios, they can compress time as well. 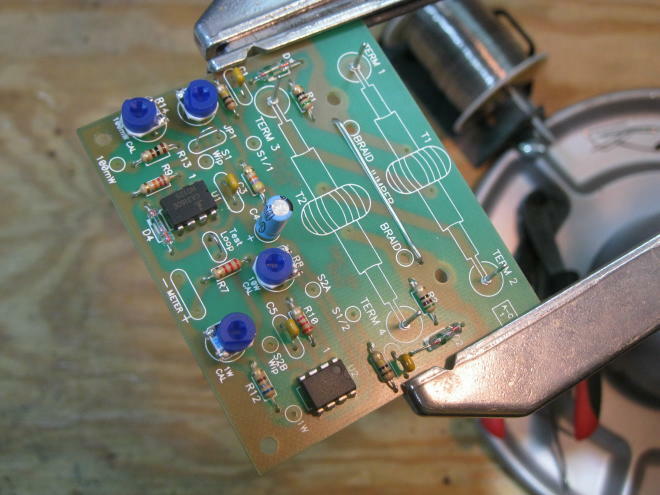 Can your Amateur Radio manufacturer do that? In the box is the radio, the nicely printed, well written and spiral bound (how nice is that?) manual, the KXUSB cable, and the power cable. I also ordered the mic, paddles, and antenna tuner. I didn’t buy the battery pack or charger. More on that later. After un-boxing I quickly put some Anderson Powerpoles on the power cable and plugged it into a Bioenno Power BLF 1209A battery, plugged in the mic, connected my 4BTV to it and powered it up. I tuned around on 40m for a few minutes and heard KC2DIS, Tony in Norwood, NY calling CQ. I responded to his call. He said that he could hear someone in the noise but couldn’t quite make out the call. I remembered that the KX2 has a speech processor and so I quickly dove into the menu to check its current (default) setting: “0”. I dialed it up to 20, called again and we made the contact. Conditions weren’t great and he said that he had a lot of local noise. He was 59 here and gave me a 44 report. Not bad for 10 w in poor conditions. 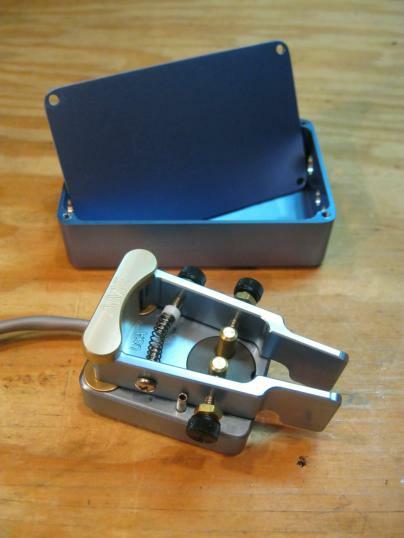 We had a short QSO and I went QRT to install the antenna tuner and paddles. When you open up the KX2 you will see an amazing amount of goodness contained within a very small package. The antenna tuner install reminded me that my eyes aren’t 20 years old anymore. Nor 30. Nor 40. This thing is small. Where’d I put my glasses? After a few tries I got the connector between the antenna tuner board and the RF board lined up and in place. The right panel has to be removed for the antenna tuner install and it doubles as the heat sink so the next challenge was to get the two screws back in place through side\heat sink and the power transistors. Did I mention that this thing is tiny? There isn’t a lot of room to work in that space. After a bit of fiddling I was able to get the captive washers and nuts back in place and secured properly. With everything buttoned back up I powered the radio back on, enabled the tuner in the menu, cycled the power as instructed in the manual, and called CQ on 40m. After about a minute I got a response from KZ4D, Fred in Lynchburg, VA. He was 59+ here and gave me a 56 report. He was running an IC-7600 at 75 watts into a vertical and I was using 10 watts into my vertical. We had a nice QSO. 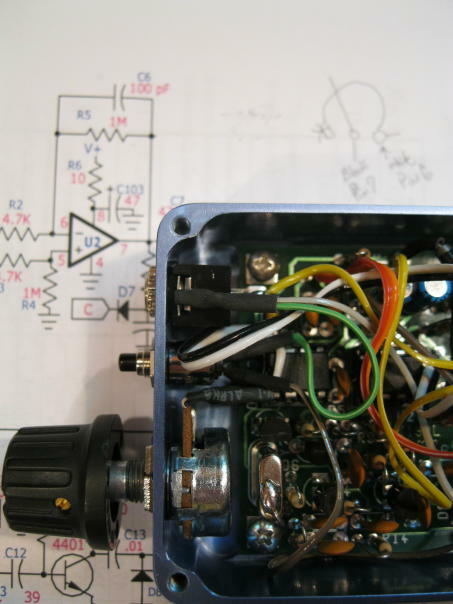 I spent a bit more time tuning about on 40m. With a fair amount of noise on the band it gave me an opportunity to try out the filtering capabilities of the radio. One word: wonderful. At my home QTH I’ve always used halyards to haul a pulley up that in turn holds the antenna support rope. It takes more rope to do it this way but it works much better than using a single rope. Recently I’ve been using my LNR EFT-10/20/40 Trail-Friendly antenna a bit. There are two downsides to placing it well up in a tree, 1) it is made of very thin wire which is great for portability but I’m not really excited about using the antenna wire to haul it down because, 2) it has a built in winder\choke which again, is great for function and portability, but unfortunately the winder\choke doubles as a limb catcher. The solution to this problem is to use the throw line as a halyard, not the antenna wire. This actually allows you to have much better control while hoisting the antenna, and the throw line acts as the downhaul instead of the antenna wire. If the antenna does get snagged you can use the throw line instead of the antenna wire to work out the snag. 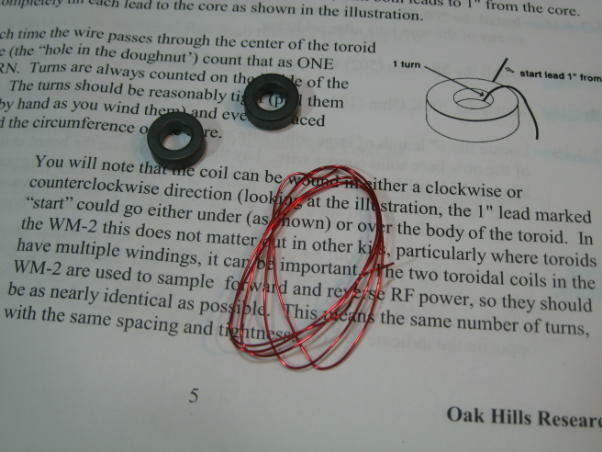 In the picture the blue box is the end of the antenna tied to the throw line with a bowline and the red box is the winder\choke. Using this method I can easily maneuver the antenna wire through tree limbs and overcome snags using the much stronger throw line as opposed to the antenna wire. Portable operation: Siege or Alpine? In mountaineering there are generally two styles or approaches: siege or expedition and alpine. Siege or expedition style involves establishing a route with camps and fixed ropes while alpine style typically involves carrying all of your necessities with you as you climb. In most cases the siege style involves much more equipment, time, and effort, while in alpine style the food, shelter, and other equipment that you need to both climb and survive is that which is in the pack on your back. Could you fit more in this wagon? I haul my TS-480SAT, multiple antennas, various lengths of coax, a group 24 lead acid battery, chair, table, etc. Gear that while nice to have, weighs an awful lot, is rather bulky, and frankly is a chore to lug along a trail. Calling all of this stuff “portable” is likely pushing the limits of the use of the phrase “portable station.” At the end of the day, it’s not really all that portable. Late last year I decided to re-evaluate my “portable” station. I’m not getting any younger and I can’t afford to care for and feed a pack mule and even if I could my XYL would frown upon hauling it in the camper, so I decided to look for ways in which to lighten my load. The obvious place to start was the battery. Do I really need to lug around a group 24 battery? Yes it’s probably good for around 40 Ah, maybe a wee bit more, but short of an all day operation with an above average amount of transmitting at 100W am I ever really going to need this much power on hand? Not likely. 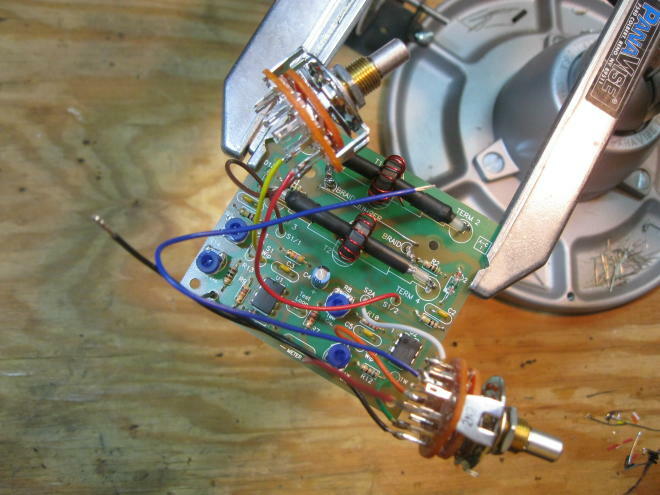 Given the fact that you actually can make contacts, even SSB contacts, using less than 100 Watts (that may be a shocking statement to some), and given that decreasing transmit power means decreasing DC power requirements, and given that the engineers at Kenwood even included the means by which to do so on the TS-480SAT, coupled with the fact that there has been all manner of improvements in battery technology in recent years, indicated to me that I should decrease my transmit power and start to look for a newer, lighter power source. Yes, it is only 4200 mAh but it barely weighs a pound. I did some testing with my TS-480SAT with the power dialed well back and was pleased with the results. I could fit the radio, the battery, a portable wire antenna, and a length of coax into a small daypack. No wagon or pack animals required. This was a great start. But there was probably room for more improvement. You probably all know where this is going. What is the next heaviest thing in the siege wagon? Yes, you guessed it; the radio. 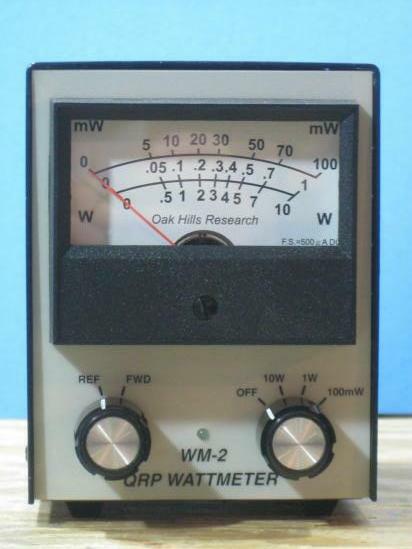 Since ICOM exited the QRP multiband all-mode radio world when they dropped the IC-703 some years ago the remaining contenders are the Yaesu FT-817ND, the Elecraft offerings, the KX3 and KX2, and some nice radios from LNR. The TS-480SAT is a super nice radio and is a very portable rig however it weighs 8 pounds. If weight reduction is the goal, there are offerings that tip the scale at considerably less than 8 pounds. After a lot of research I elected to purchase the Yaesu FT-817ND at the end of the camping season last year. I looked long and hard at the KX2 which is close in price to the 817 but I really like the shack-in-a-box capability of the 817 (especially VHF\UHF) for camping. 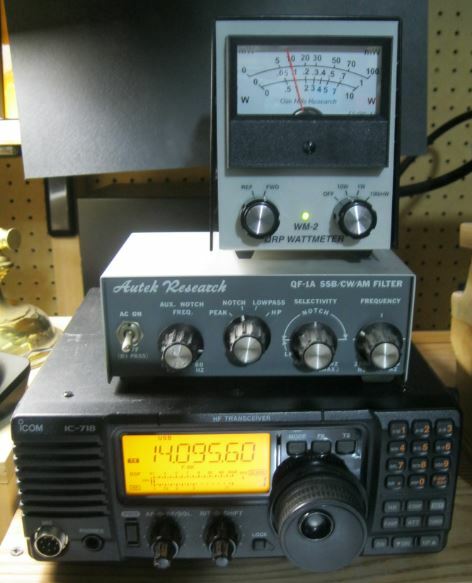 It’s entirely possible that a KX2\KX3 finds its way into my shack at some point but I’m presently happy with the 817. I have an FT-857D in my car so I’m used to the menus, I wish the display was a bit larger but it’s a small radio, and I would have loved to be a fly on the wall at the meeting where it was decided that it would be a good idea to cap VHF receive at 154 MHz, thus precluding the reception of NOAA weather radio in the US at 162 MHz, an obvious feature to have in a portable radio like the 817. The first setup was out near the beach at Point Beach State Forest on Lake Michigan. I brought along my arborists throw bag and line and quickly had the antenna up in a nearby tree. Minutes later I was on the air. I heard a fair amount of DX on 20m but given conditions and 5W they couldn’t hear me. I tuned around a bit and was able to check into the SATERN net on 14.265 with Bob, WA5EEZ in Oklahoma with a good signal report. After the net I made a few more calls and came upon K0PFV mobile in Washington County, Oklahoma. I gave him a call and was able to make the contact with good signal reports, 59 sent and 53 received. Thus far I am very pleased with my new truly portable station. Yes, it doesn’t have the capabilities of the TS-480SAT station but it’s much lighter and easier to deploy. Plus I save money on back surgery and\or pack mule feed and vet bills. Both radios will make the trip camping, I just won’t be using the siege wagon much anymore. The TS-480SAT can stay in camp while the FT-817ND goes off on some alpine-style radio adventures. I have finally built a Rockmite. 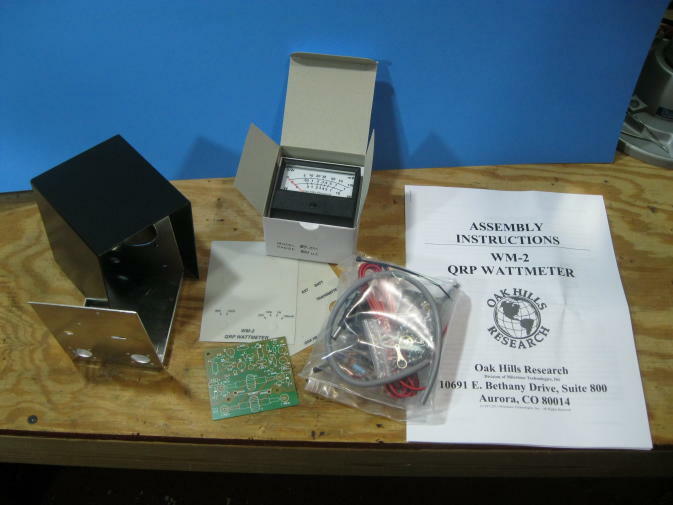 Rockmite’s are popular little QRP transceiver kits that are designed and sold by Dave Benson (K1SWL) of Small Wonder Labs. Because Rockmites are well regarded and have been around for a bit over 10 years there is a small cottage industry that has sprung up around them to provide accessories and mods. One in particular is a very nice case, the Mity Box that is built by American Morse Equipment. They also build a matching key, the Porta Paddle. I obtained both of these items for my Rockmite build. 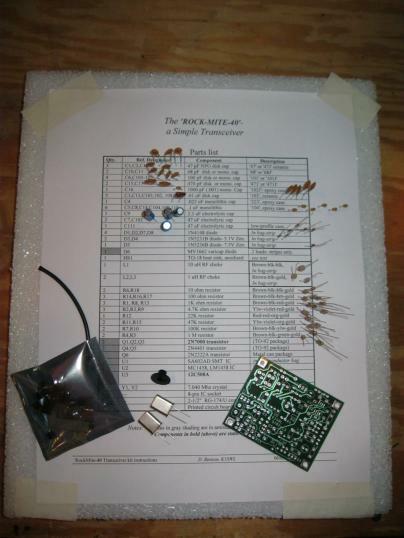 The Rockmite kit includes all the components and the printed circuit board. 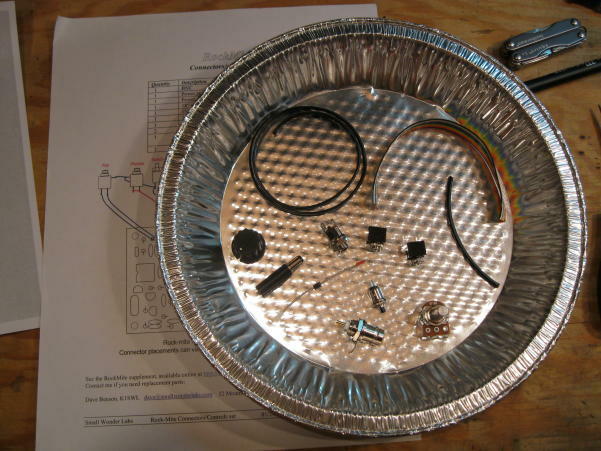 You can also purchase the connector kit which includes all the connectors and such that you will need to get your Rockmite up and running. 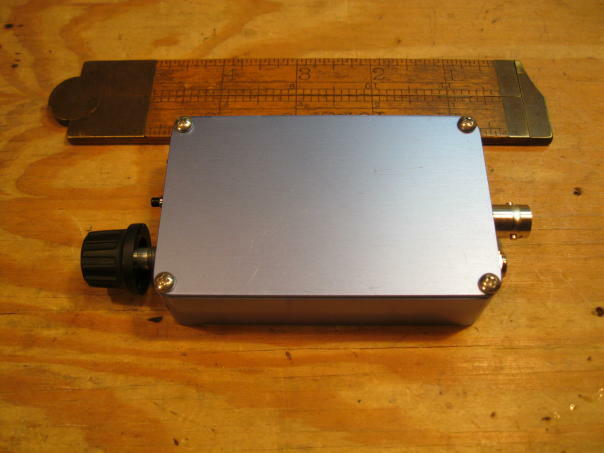 The Mity Box is designed to accommodate the connector kit that SWL sells. The Rockmite comes with a very good set of instructions for the build. There is one SMD IC in the kit and you start with that. 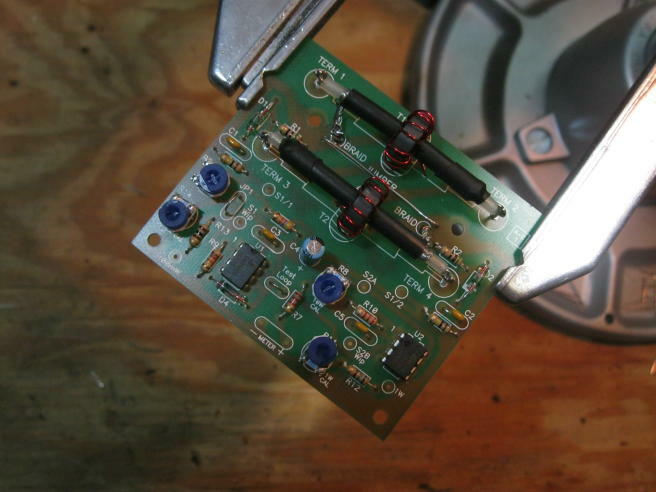 Once that part is cleanly on the board you can proceed to add the rest of the components. 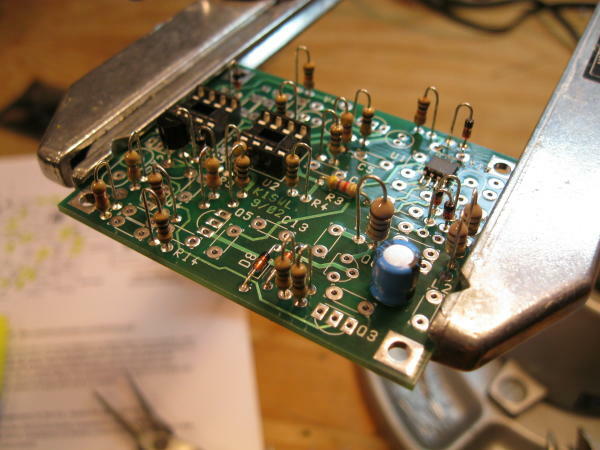 There are a few suggestions regarding build order as the board is rather small and you’ll want to follow the specified order so that you can get everything on with a minimum of interference. 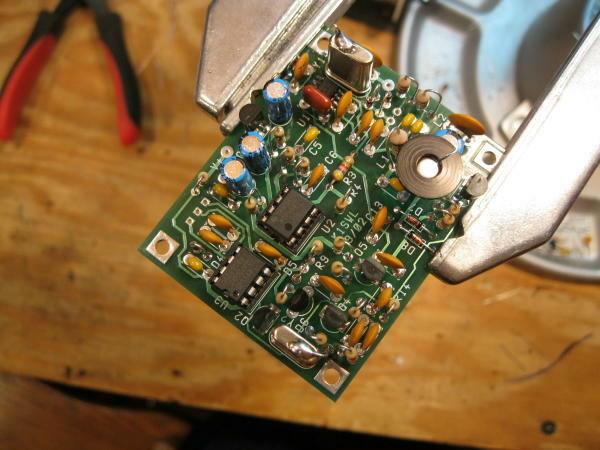 Once all of the components are placed it’s time to add the external components from the connector kit. The Supplement To Rockmite Instructions document contains very useful information should you need to troubleshoot a build problem. Thankfully mine worked correctly the first time. 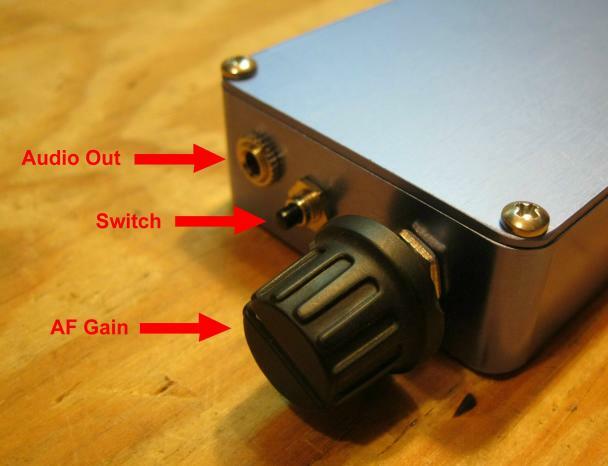 If you wish to have an AF Gain control, and you will, you will need to remove R5 and use the 1Meg pot that is included in the connector kit. 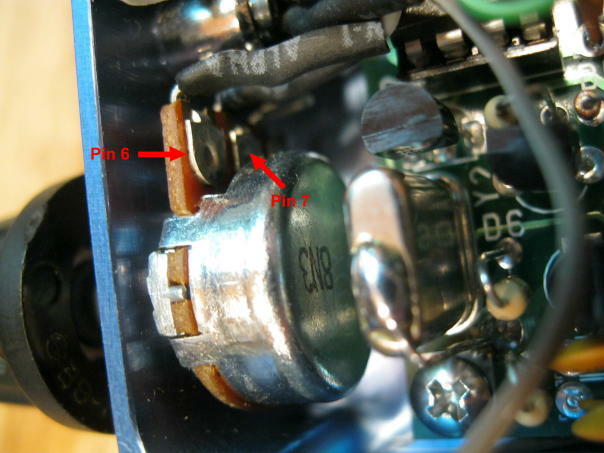 In order to get the control to work correctly (CW increases AF Gain) connect the wiper to the hole previously occupied by the leg of R5 that went to Pin 7 of U2 and the right-side of the pot (as you look at the shaft) to Pin 6 of U2. Once the board was built and tested the next task was to arrange everything correctly in order to get it all to fit into the Mity Box. This is no small task. 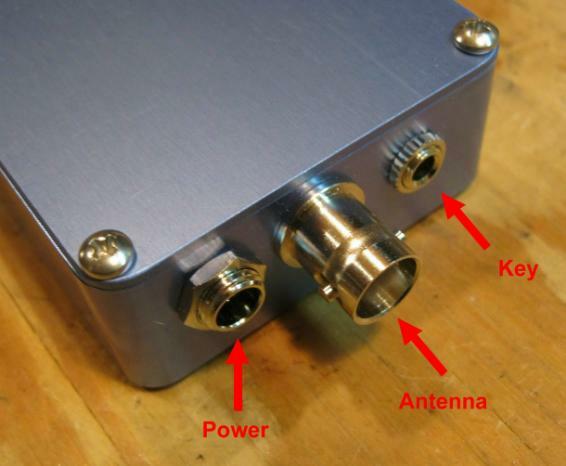 After fiddling with it a bit I found it easiest to get the connectors for the Power, Antenna, and Key situated (you will have to solder the center conductor of the BNC for the antenna connector once you have the connector inserted in to the Mity Box) first though you will want to have the AF Gain pot inserted but loose else as you can see above you won’t be able to get it in once you get the board in as it is a tight fit with Y2. It all fits in the case but there isn’t much room to spare. After some testing at my station I took it over to my Uncle’s station to let him operate it. He made the first contact with it to WB9GAA in Green Bay, WI. About 500mW and a 599 signal report. 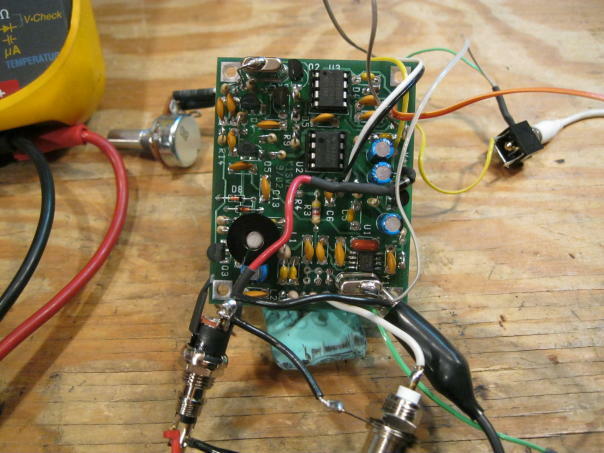 The Rockmite is a very nice QRP rig. It’s fun to build and operate. 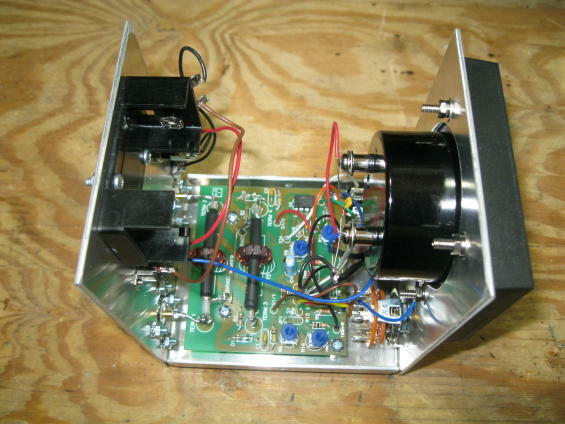 I’d recommend adding a Rockmite to your station.